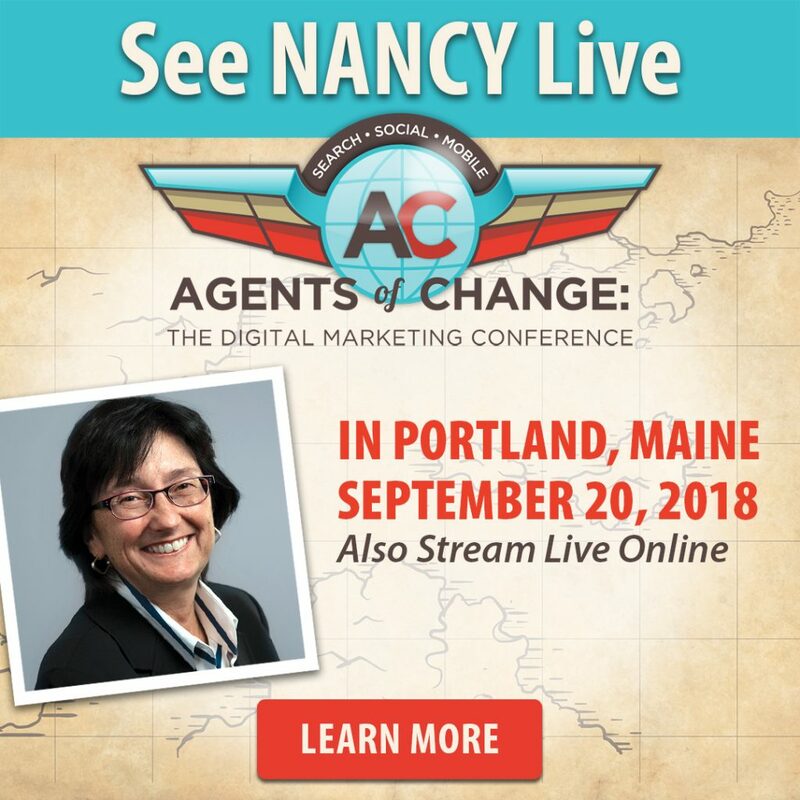 Join Nancy Harhut, LIVE, September 20th in Portland, Maine! The Chief Creative Officer of HBT Marketing, Harhut is known for her interesting and actionable insights that focus on applying behavioral science to marketing. A sought-after, top-ranked speaker, she’s wowed audiences in Moscow, Stockholm, Sao Paulo and all over the US — including attendees at SXSW. New research by neuroscientists reveals people don’t “make” decisions. Often, they just default to reflexive responses without even thinking! That means perfectly good ads, emails, mailings, etc. can still fail. Because people don’t make logical choices. However, if marketers strategically factor in the decision defaults people rely on, we increase our success. When our creative leverages the hardwired behaviors of customers and prospects, it can automatically increase the recall of our marketing messages, the response to them, and the revenue that results from them.